3D printers are getting less and less expensive to purchase with many assembled models well under $1,000. But there’s still another cost, and it’s an ongoing cost: the filament–the raw material for the printer. The cost can add up. And not to mention, often people with 3D printers print out things they may not actually keep around long term, and it’s not that unusual to print mistakes. It’s a waste of the earth’s resources not to use recycled material when possible, or to even recycle your old prints when you can. 3D printing enthusiast Tyler McNaney decided to do something about it. Late last year he launched a project on Kickstarter called Filabot, the “Plastic Filament Maker.” The project was funded in January; in fact, pledges exceeded his project goal. This article will answer a few questions about the still upcoming unit. The original Filabot video from their Kickstarter project. Click play. What is the Filabot, and what does it do? Material for 3D printing is pretty expensive, but Filabot offers a solution. 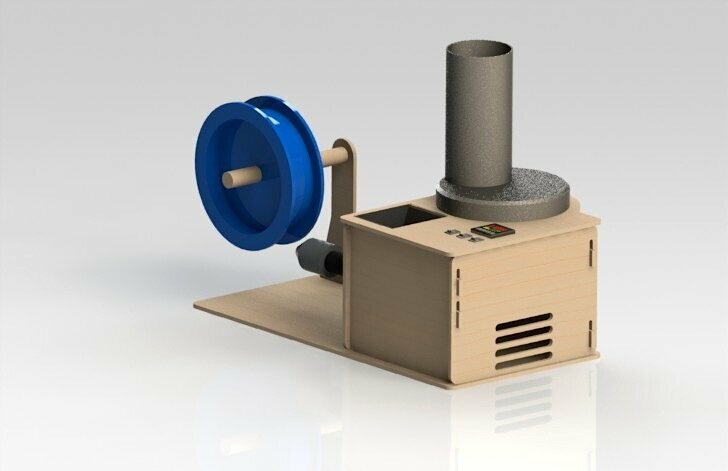 The Filabot will actually grind up various plastics, melt them down, and extrude the plastic into usable printing filament. Who is Filabot intended for? Filabot is intended for 3D printing enthusiasts who own desktop printers. Tyler wants users to be able to sit at their desk with their computer, 3D printer, and Filabot. He is shooting for a final piece to have the dimensions of 24″ by 12″ by 12″. Being able to recycle plastic for 3D printing is very significant by itself in my opinion, but Filabot will be offering a couple other features. Users will be able to change the diameter of the filament through interchangeable tips. Users will also be able to make custom filament, including conductive filament, fiber reinforced filament, and a variety of colored material. What material can Filabot recycle? Tyler mentioned on his Kickstarter page that he has worked with various household materials, such as plastic soda bottles, milk jugs, juice bottles, DVD’s, CD’s, gas cans, shampoo bottles, and laundry detergent. Filabot will also be able to grind down old 3D printed plastic models. Currently, there isn’t a definitive price on the Filabot; however, I do know that Tyler is shooting for under $1,000.